“Honorable Lord has to be careful being alone in the Heavenly Note Sect, it’s a place where danger dwells.” Feng Yu cast a glance at Nie Li as she spoke in a soft tone and an endless allure in her eyes. Feng Yu’s appearance was extraordinary, her gentleness even made her so alluring that she made Nie Li’s heart ripple. “Don’t worry about it, Elder Feng Yu. Those in the Heavenly Note Sect can’t do anything to me. With my strength, I can come and go as I please.” Nie Li spoke with self-confidence. “Honorable Lord is brilliant and wise.” When Feng Yu’s alluring voice entered Nie Li’s ears, it made him feel a jolt in his heart as his heart fluctuated. Nie Li suddenly felt a chill in his heart as he sensed that something wasn’t right. Feng Yu truly was not someone so easy to bluff. She actually used her Art of Alluring to try and sound the truth from him. He nearly fell for it! “Elder Feng Yu has never heard of the Art of Demonic Charm Concealment? Yue’er has never told you about it?” Nie Li was a little puzzled as he asked. His voice was continuous, and even his breathing had turned heavy. “Not surprising, it’s one of the techniques from the Ancestral Lands. One of the ten secret techniques,” said Nie Li. “This is a secret!” Nie Li quickly showed a gesture to stop Feng Yu from continuing to speak. “Yes, Feng Yu understands.” Feng Yu immediately followed up as the charm in her eyes started to fade. “Yes, Honorable Lord.” Feng Yu immediately agreed. “Leave the Six Major Sects to me. Once the Sect Master comes out from her seclusion, we will launch our attack to destroy them!” Nie Li spoke in a heavy voice. A golden plaque appeared in Feng Yu’s hand with a movement. There were three ancient ‘Demon G.o.d’s Sect’ wordings on it. It was also covered with runes. She respectfully raised it up and pa.s.sed it over to Nie Li. “My ident.i.ty is a secret, no one can know about it.” Nie Li showed a difficult expression. “Yes, Honorable Lord, I understand.” Feng Yu nodded her head. “Go back, I have to return back to the Heavenly Note Sect.” Nie Li looked at Feng Yu as he spoke. After bidding his farewells with Feng Yu, he turned into a streak of light with a whoosh and disappeared. Looking at the direction that Nie Li went in, Feng Yu hesitated for a brief moment, before returning. Xu Long and Xu Hu waited for a long while, seeing as Elder Feng Yu was returning, they immediately went up to her. “Xu Long, Xu Hu, spread my orders. All the disciples of my Demon G.o.d’s Sect are to retreat and return to the Demon G.o.d’s Sect together!” Elder Feng Yu spoke in a solemn voice. “Elder Feng Yu, we can’t do this. We have still not investigated the reason why the experts of the Heavenly Note Sect would have such a sudden increase in their strengths. How can we return like this?” Xu Long immediately spoke out. “Yeah, how can we let those b.i.t.c.hes of the Heavenly Note Sect off?” Xu Hu was a little displeased. “Are the both of you going to disregard my orders?” Feng Yu furrowed her brows as she snorted. “We dare not! We two brothers will follow Elder Feng Yu’s orders!” Xu Long immediately answered as he gave an eye signal over to Xu Hu. “Since Elder Feng Yu has spoken, we will get our brothers to retreat.” Xu Hu was a little dejected as he replied. Xu Long was a little flabbergasted. Feng Yu’s sudden request to retreat probably had something to do with Nie Li, earlier on. He didn’t know the conversation between Nie Li and Feng Yu, but Feng Yu was one of Sect Master’s trusted aides, so he didn’t dare to offend her. Whoosh! Whoosh! Whoosh! Streaks of light rang out from the mountain range of the Heavenly Note Sect. As they turned into rays of light, they swiftly left. At this moment, Nie Li was standing on the crown of the tree as he watched with a light smile leaking from the corner of his mouth. 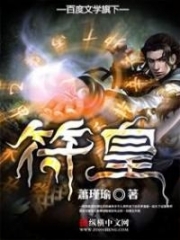 With the strength of Feng Yu’s party, it wasn’t easy for them to destroy the Heavenly Note Sect. After all, the Heavenly Note Sect had a long history and foundation, but it was still possible for them to gravely injure the Heavenly Note Sect. If the Heavenly Note Sect had undergone a huge battle, there would definitely be a significant injury to their strength, which wasn’t a good thing. After all, the Six Righteous Sects were all gra.s.shoppers tied together. The trickery that Nie Li had resorted to earlier was only a tactic to buy some time for the Six Major Sects by making Feng Yu’s party leave. After all, with the medicinal power of the Sacred Elixir, the Six Major Sects would undoubtedly experience a huge growth in strength in the next six months. At that time, it would definitely be more than sufficient for them to deal with the Demon G.o.d’s Sect. “I wonder, what reaction will that woman have when she comes out of seclusion and Feng Yu tells her what I have told her earlier.” Nie Li couldn’t help thinking inwardly. After all, disgusting that prideful woman was an enjoyable matter for him. She was his rival in the previous life, after all. He didn’t know how long Mu Yue’s seclusion would take this time, but he hoped that it would be for another half a year. It was normal for an expert like Mu Yue to undergo seclusion for three to five years. He hoped that the timing would be dragged out. Otherwise, it would be quite difficult for them to deal with that woman, Mu Yue, with their current strength. Tales of Demons and Gods Tales Of Demons & Gods Chapter 469 Stationed In? You're Read Tales of Demons and Gods Tales Of Demons & Gods Chapter 468 online at NovelOnlineFull.com. You can use the follow function to bookmark your favorite novel ( Only for registered users ). If you find any errors ( can't read,broken links, can't load photos, etc.. ), Please let us know so we can fix it as soon as possible. And when you start a conversation or debate about a certain topic with other people, please do not offend them just because you don't like their opinions. You're reading Tales of Demons and Gods. This manga has been translated by Updating. Author(s): Mad Snail,发飙的蜗牛. Already has 8773 views. Current Time is 25-Apr-2019 14:05:41 PM.